Epiphany! Counseling and Wellness Center is owned and operated by Diane Dean. Diane is a professional registered nurse, licensed professional counselor, & professionally trained coach. She is certified by the American Nurse’s Credentialing Center in adult psychiatric nursing, and has worked in various health care and educational settings for the past 20+ years. Diane graduated with high honors from Duquesne University & Indiana University of PA.
​Ms. Diane Dean has dedicated her efforts to both clinical work and education. She began her career as a staff nurse and psychiatric nurse educator at St. Francis Medical Center, has developed and refined various intensive outpatient programs for adolescents and adults, and has worked extensively with clients with eating disorders and addictions. Ms. Diane Dean has taught at many colleges and universities, including the University of Pittsburgh, La Roche College and the Community College of Allegheny County. Ms. Dean has been the recipient of numerous academic and professional awards, including the U.S. National Merit Leadership Award, and she has been named in Who’s Who in American Colleges and Universities. In 2011, Diane was awarded the Make Mine a Million $ Business award from Count Me In, the leading national not-for-profit provider of resources, business education, and community support for women entrepreneurs seeking to grow micro businesses to million dollar enterprises. Ms. Dean speaks and writes on various conventional and non-conventional health topics. Her work has been published in the Allegheny Medical Society’s Bulletin, Nursing Spectrum, and on Livestrong.com. She has guided and coordinated medical, nursing, and counseling student experiences for the duration of her career. Ms. Dean has training and interest in non-conventional treatments such as therapeutic touch, Reiki, and acupressure. In the late 1990s, she spent several years working alongside Dr. Lewis Mehl-Madrona, author of Coyote Medicine, at the UPMC Shadyside Center for Complementary Medicine. She has also completed her intensive training with Caroline Myss, author of bestsellers The Creation of Health and Sacred Contracts. Ms. Diane Dean is a life-long resident of Pittsburgh and has two adult children. In her spare time she enjoys reading, writing, photography and traveling. Alicia Burkey is a Licensed Professional Therapist. She is certified in advanced alcohol and drug counseling. She has worked in several treatment settings working with children, adolescents, and adults with mental health disorders, eating disorders, and drug and alcohol disorders. She graduated from University of Pittsburgh with her Bachelors in Psychology and Sociology and from Carlow University with her Masters in Professional Counseling with highest honors. She has extensive experience treating individuals with substance use disorders, mood disorders and anxiety, grief and loss, trauma, and relationship issues. Her focus of counseling is rooted in cognitive-behavioral therapy while also creating a safe and therapeutic environment. During her free time she enjoys spending it outdoors and running. ​Heather Trettel is a Licensed Professional Counselor. 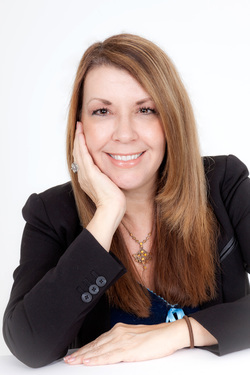 She has 13 years experience working with children, adolescents and families. She has also worked with adults on individual goals to facilitate growth and change. Heather attended Saint Vincent College and graduated with her Bachelors in Art Therapy. She continued her education at Marywood University and graduated with a Masters in Art Therapy. She has experience working with individuals with self-esteem issues, anxiety, depression, mood disorders, trauma and more. As an art therapist, she likes to give clients the opportunity to engage in some creative processes which can result in promoting positive insight and growth.